Thank you Marcio! 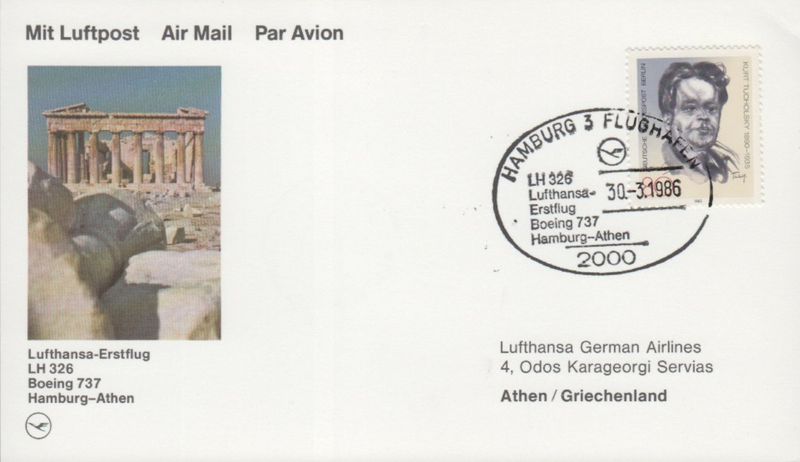 This 2010 stamp from the 5v 'New Acropolis Museum' showcases what a fantastic job the new museum in Athens does at displaying the original Parthenon friezes. I visited the museum shortly after it opened, and the absent Erechtheion caryatid is pointedly missed. Thank you Danny! 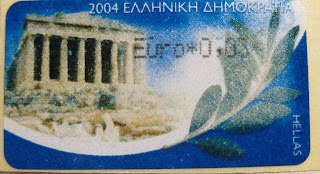 ATM of the Acropolis as it stands now. At least six imprint and coloured text varieties exist of this atm, not counting denominations. 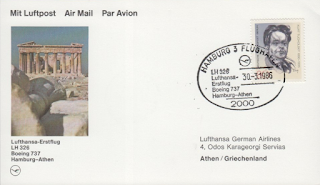 Carried on a Boeing 727 from Hamburg to Athens, this cover has the acropolis on cachet.